One of my favorite subjects is evolution. It is not because I believe it is a true concept of how everything living we see came to be, but in spite of all the proofs that it could not happen, how many learned people think it really happened. Simply stated: In spite of the fact that it could not happen, people still believe it happened. Back in the middle of the twentieth century when the DNA molecule was discovered, those who believe in evolution were rejoicing. They were confident that by studying the DNA of life forms they would be able to show the advancement of life from simple to more complex. Their hope was that by studying mutations they would be able to show how information was added to the DNA molecule little by little until a new life form came about. Of course this was coupled with natural selection. This would proceed little by little and would hardly be noticeable. But, as research continued and knowledge of DNA increased it became apparent that what evolutionists thought were simple life was not really so simple according to the DNA. There were some “simple” life forms whose DNA contained as much information as some “complex” life forms. How could this be? Did you know that an onion has more genes in its DNA than the DNA in a human being? But it does. According to evolution the onion came before the human. In the evolution scenario the onion should be simpler and have smaller genetic information in its DNA. If they are trying to prove evolution by DNA they have been falsified. But they will not accept the facts of science. Why is that? 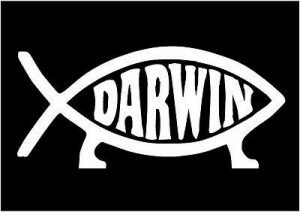 Could it be that evolution is not a science but a belief, a religion. When the evolutionists began to realize that the size of the genome was not going to prove their point they put up a “straw man”. They began to push the idea that most of the genome of DNA was merely “junk” left over from evolution. This seemed feasible to them because at that time very little was known about 98% of the human genome. It appeared that only a very small part was used in coding and building the proteins necessary to carry on living cells. So by labeling most of DNA as “junk” they thought to show how evolution has discarded that which it did not need. Unfortunately for evolutionists, research did not stop just because they called it “junk”. As scientists continue to study DNA they are finding that more and more is necessary for carrying on the process of life. Instead of only 2% being used it has grown to almost 40% of the genome as being necessary functional. The percentage is continually growing. As we learn more and more the day may very well come that we realize that all the DNA is necessary and functional in carrying out the life of the life form, no matter how simple or complex. What about mutations in DNA? One can not fault evolutionists for being persistent. As they are realizing that they are losing the battle on the “junk” front they have retrenched at the old fort of mutations. Having practically lost the battle with “junk” DNA they must now try again to prove evolution by mutations. Their definition of mutations is “a change in the information of the DNA to increase the information in the DNA”, thereby bringing about a more complex life form, even if only by minute changes. Mutations, whether caused by disease or radiation of some sort or another seldom if ever produce anything good for the host. Evolutionists will site studies which show how certain species of bacteria can ingest some nutrients which beforehand they had not been able to ingest as a whole in a population but certain groups within the populace now can. They will also site such things as “cycle cell anemia” in certain persons enable them to not be infected with malaria. Certain plants have mutated in such ways as to not be affected by certain insects and bacteria. These and others they claim are evolution in action. But they do not present the whole truth. For evolution, as they define it, must be increasing the information in the genome. The mutations that they present in every one of their situations is a decrease in the information in the genome. There may have been a temporary improvement in the situation but the long term situation is a decrease in the information of the genome. In other words, there is no evolution to a more complex form, but a de-evolution toward extinction. So it seems that even DNA is not at all a good tool for the evolutionist to use in proof of their belief. DNA follows the laws of science just as all creation does. The second law of thermodynamics says that in any system, entropy increases. Entropy is a term which denotes disorder. So, rather than getting more orderly and complex, DNA becomes less orderly. So the outcome is that information decreases and order decreases and the life form is becoming less complex. The very premises of evolution is falsified. So, why does evolution persist? Human beings are the only creation that exhibits what is called “pride”. Pride is a thing that centers on one’s self. We may personify other beings and try to say they exhibit pride, but such is not the case. Because of pride humans do not wish to admit that they are not self-sufficient and in control of their circumstances. Because of this pride they will not admit the need of a “Higher Being”, a God, Who is the Creator. If they did, then they might have to be subject to Him and His laws. The way to avoid this subjection to a god is to declare that all the things we see in this universe came about by “natural” processes with no need for a higher being. By taking this position they become their own god. They have to answer to no on except themselves. Of course, you know this as the humanist materialist world view. In spite of everything that science and DNA tell us about life, they will still insist that life evolved without any help from a Creator. All logic and every scientific principle point to the fact that life and all the information contained in it down to the tiniest cell, point to a Being of vast and infinite knowledge and information. The law of cause and effect says that the cause is always greater than the effect. True science tells us that the information contained in the DNA of living things is so vast that it is humanly impossible to grasp. A being that is able to produce such information would have to be infinite in knowledge. There is only One Being in human history that has ever laid claim to be that One. He is the God of the Bible, the God of all creation. For someone to refute that, he or she would have to have all knowledge. You do not have to believe it, but you can not refute it. A real scientist will study the creation and see if the findings of science refute the God of the Bible and Creation, or if they confirm the God of the Bible. To refuse to confirm or deny tells us that they are not true scientists and refuse to be truthful or logical in their study. Such people are not to be trusted. Truth is an ever changing commodity to them. The God of Creation is consistent. His laws are set and unchanging. But most of all, He is a God of love and mercy and grace. He as said that He is not willing that any should perish, but that all should come to repentance. That “repentance” means to see things the way that He does. If one does not wish to see things the way The Creator does, means that that person is in rebellion against his Creator. There are consequences that must be paid for such rebellion. Remember, The Creator has said that it is not His will that any should perish. In fact, He paid the price for that rebellion for every person who has ever lived or ever will live. He paid that price by sending His only-begotten Son, Jesus, to die on a cross for all men. By accepting that gift of His payment He gives you His Holy Spirit to give you life beginning right now and continuing for eternity. I encourage you to receive life now. By receiving Jesus you will begin to experience something like you have never known before. What you experience before Him is mere existence. What you experience in Him is life, real Life.